Absolutely turn-key ready ranch style home on the Lomas Santa Fe Golf Course. This property is move-in ready and shows like a model. This Gorgeous single-level unit is highly upgraded with sophisticated touches. Beautiful hardwood floors, Gourmet kitchen with Monogram appliances, custom wine room, top-o-the-line fixtures, Stunning views, crown molding, upgraded bathrooms, Vaulted ceilings, Custom crafted built-in study,Tropical backyard with built-in BBQ. So much more see attached feature list, Absolutely turn-key ready ranch style home on the Lomas Santa Fe Golf Course. This property is move-in ready and shows like a model. This Gorgeous single-level unit is highly upgraded with sophisticated touches. Beautiful hardwood floors, Gourmet kitchen with Monogram appliances, custom wine room, top-o-the-line fixtures, Stunning views, crown molding, upgraded bathrooms, Vaulted ceilings, Custom crafted built-in study,Tropical backyard with built-in BBQ. 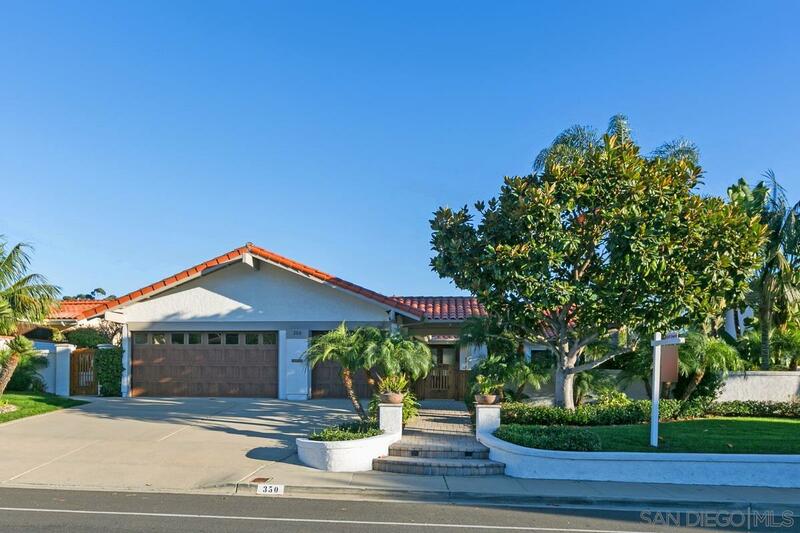 Fantastic move-in ready home in Solana Beach.